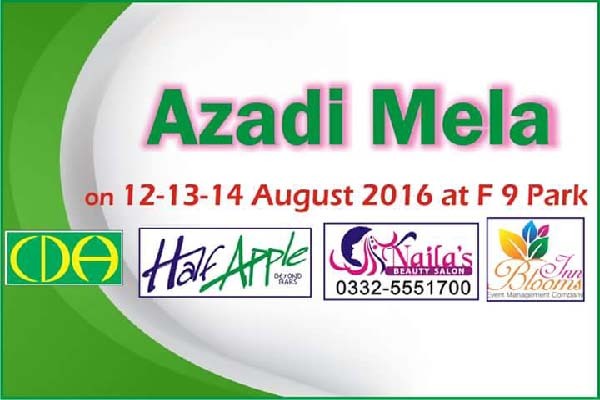 ISLAMABAD, Aug 14 (APP): Three-day Azadi shopping festival concluded here on August 14 which wwas started at Fatima Jinnah Park on August 12 to mark the celebrations of 70th Independence Day. The visitors availed upto 40 percent discounts at the stalls featuring various Jashan-i-Azadi accessories including dresses, bangles, flags, bunting, balloons, handicrafts, toys and other unique stuff. The visitors had enjoyed discount on various edible items offered by eateries in the festival through their stalls. The organizer of the event said that three-day event had attracted a large number of visitors from twin cities of Islamabad and Rawalpindi. The stalls were beautifully decorated in connection with the Independence Day celebrations.